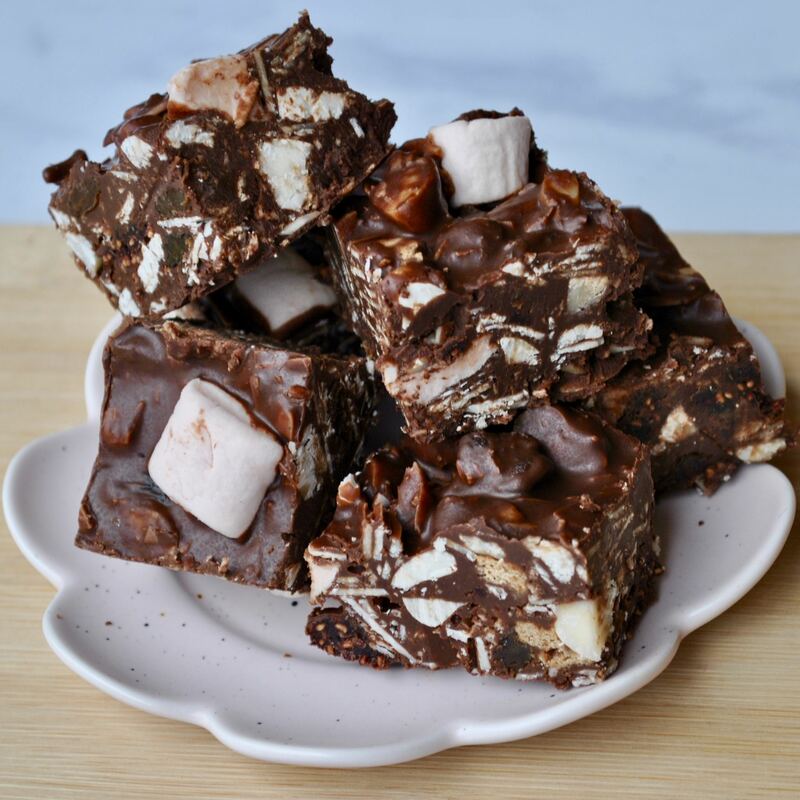 Let’s be honest, the vast majority of my desserts on the website are chocolate-themed, from my Rocky Roads to my Trillionaire Shortbread. 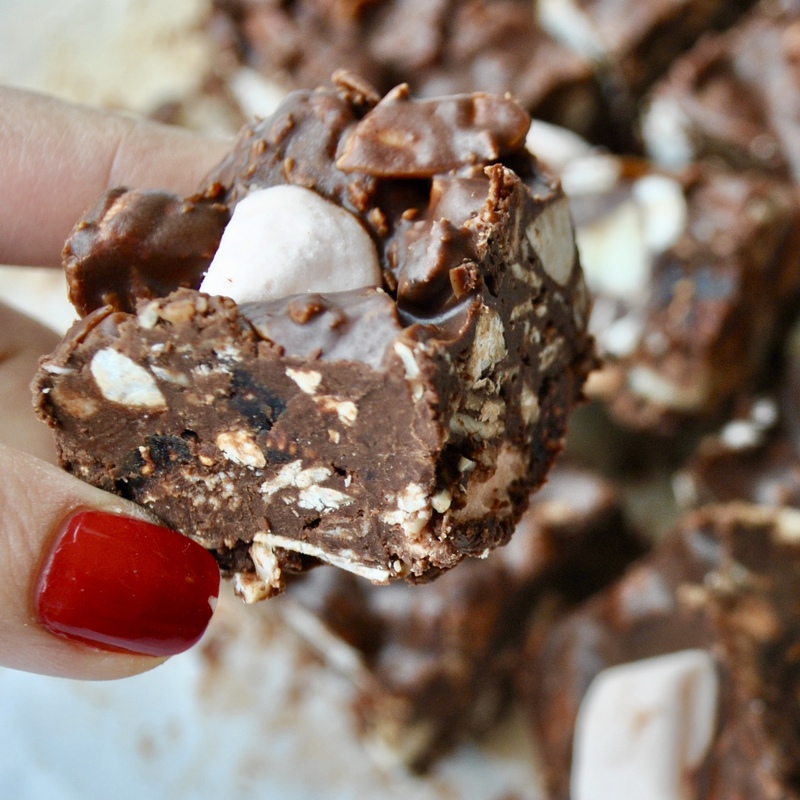 Despite my long list of cacao-based sweet treats (full list at the bottom of this post! 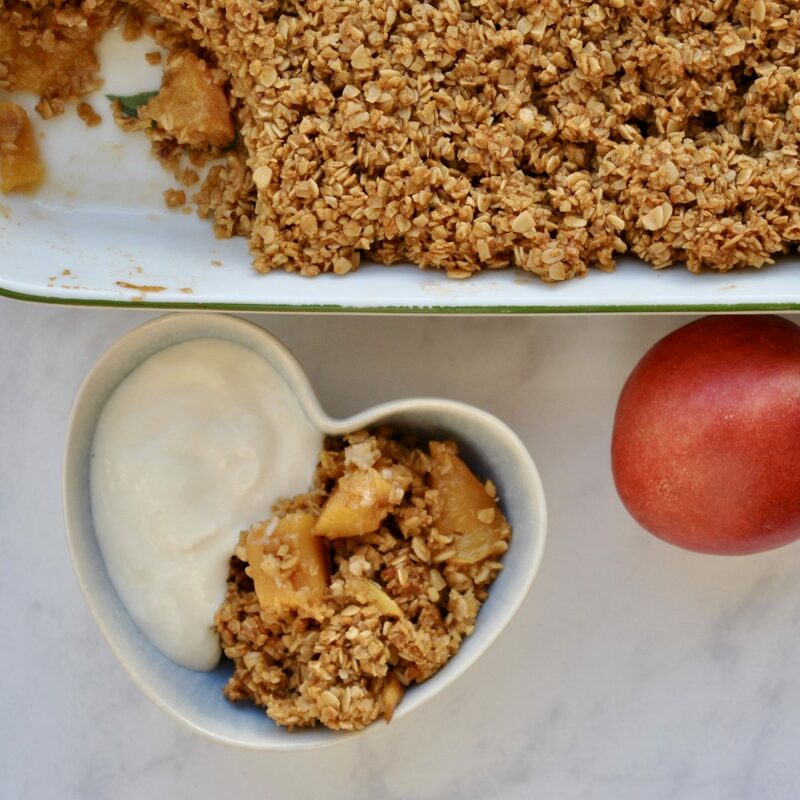 ), I sometimes fancy something lighter and fruitier, which is where this Peach & Nectarine Crumble comes in! 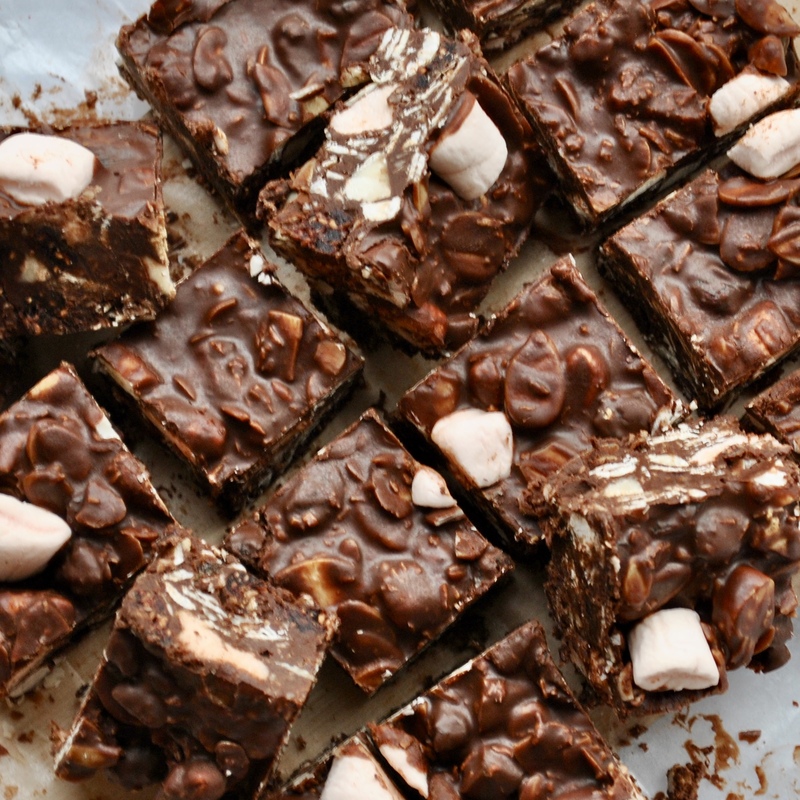 This recipe requires just 5 simple ingredients (two of them are in the title!) 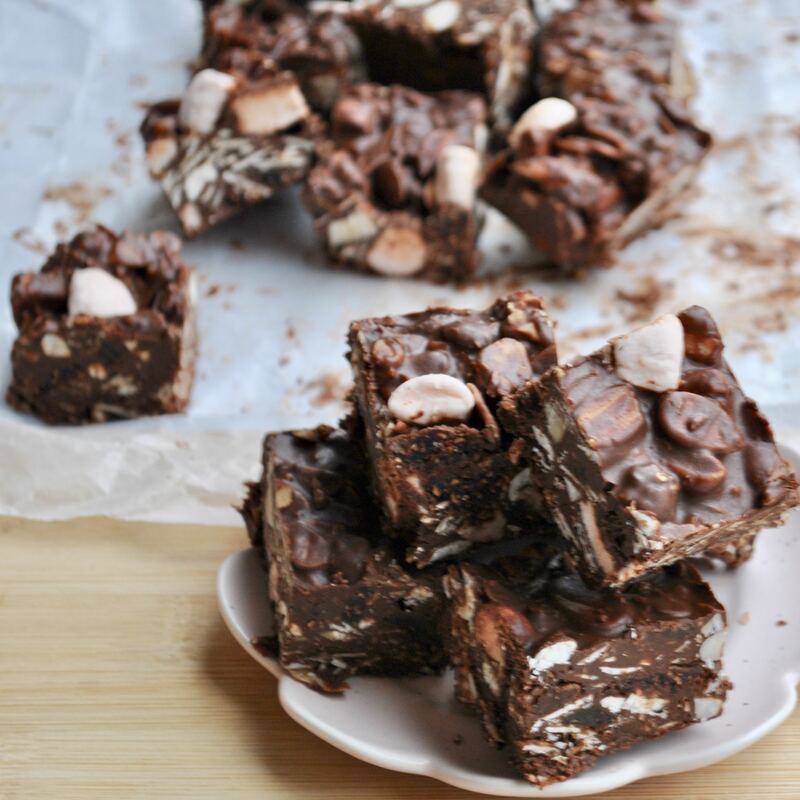 and is completely gluten-free, dairy-free and refined sugar-free, as well as being suitable for vegans. 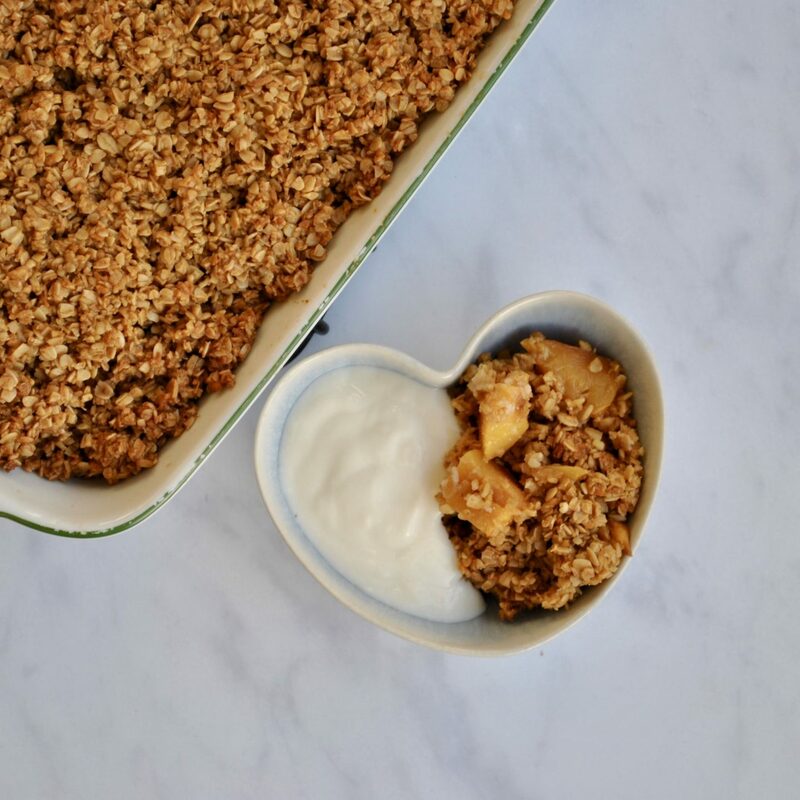 The crumble topping is made from oats, which are my all-time favourite grain as they are packed fibre – scientifically proven to keep you fuller for longer and to help lower cholesterol levels! 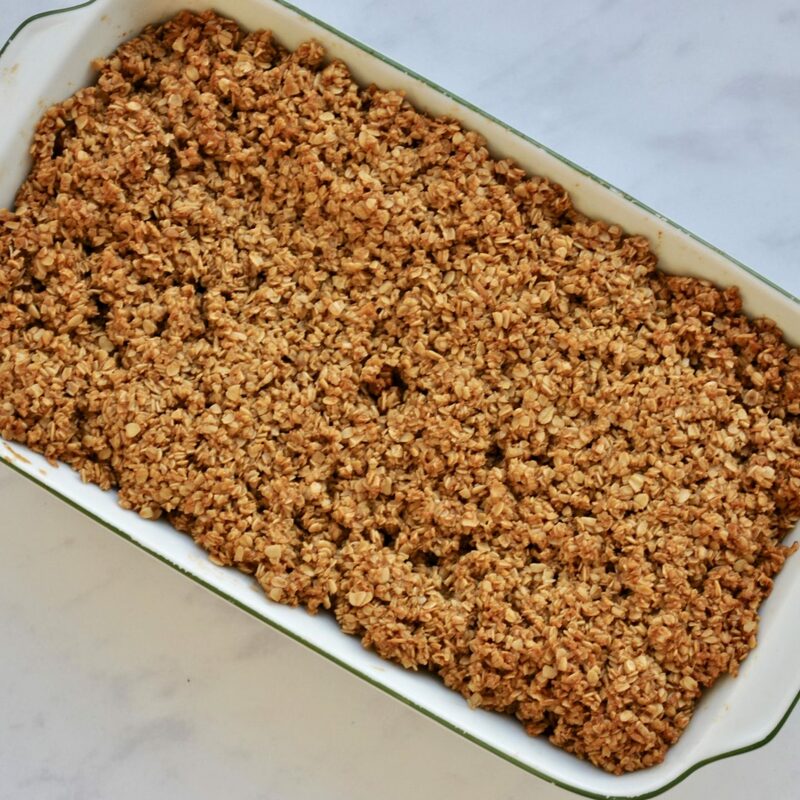 This decadent crumble is perfect to bring to a dinner party, or warm it up for breakfast the next morning and serve with a dollop of soy yoghurt! Chop the fruit and place in an oven-proof dish. 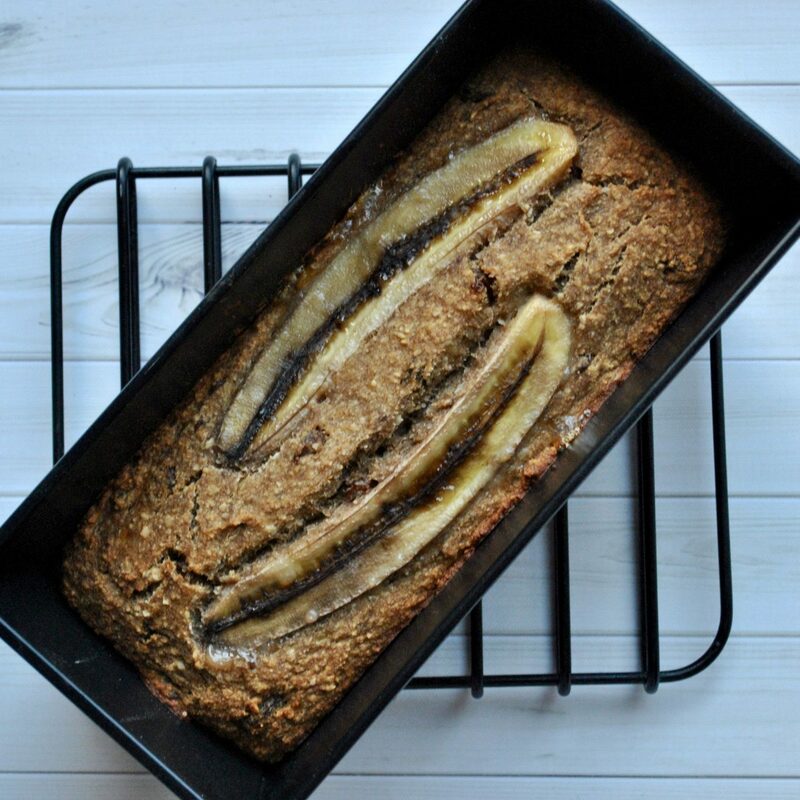 Use your hands to knead together oats, coconut sugar and (dairy-free) butter until fully combined, then add the vanilla (if using) and spread this mixture over the fruit. Use your finger to create a small thumb-sized well in the middle of the crumble so the fruit is exposed. 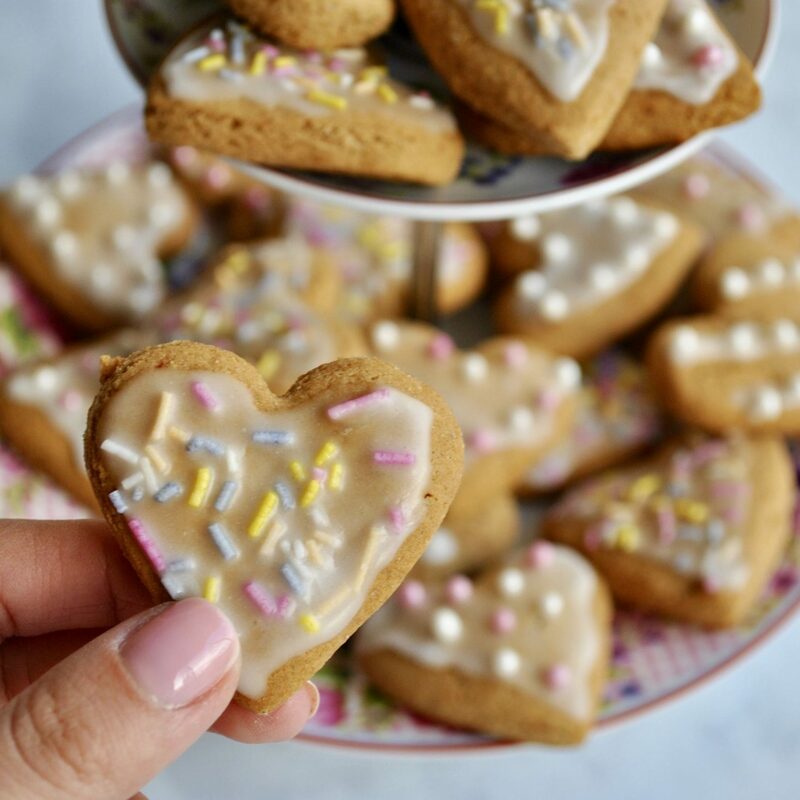 I’ve finally come up with a flawless biscuit recipe that is vegan and does not contain any gluten, dairy, nuts or refined sugar! These biscuits taste buttery and salty but not overly sweet and have a light fluffy texture. The biscuits become even more magical when spread with Homemade Raspberry Jam and served with a cup of tea. 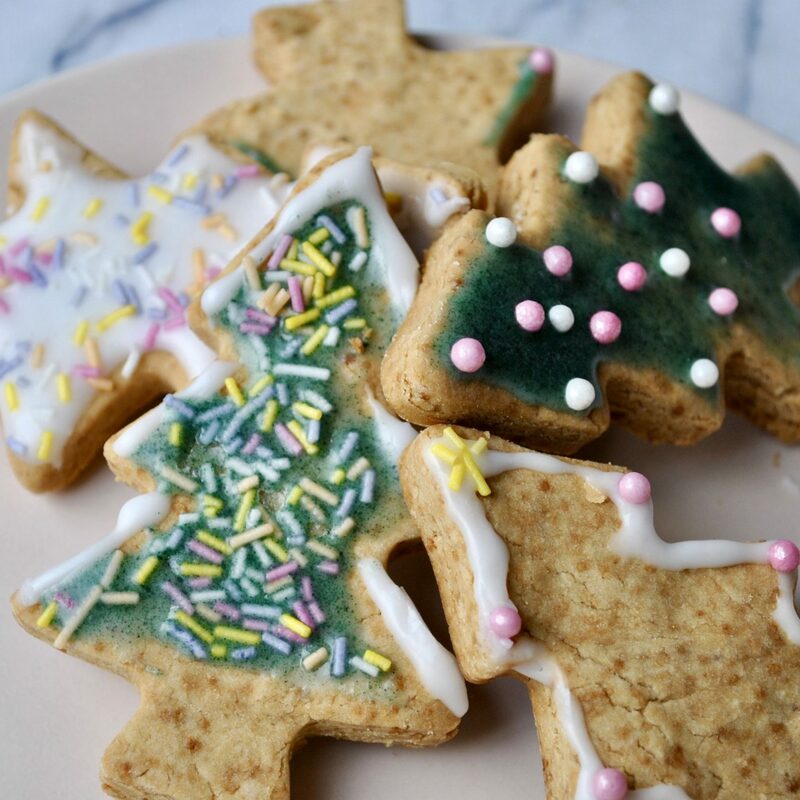 Alternatively, go wild and decorate them with icing and sprinkles like I did for this festive version. 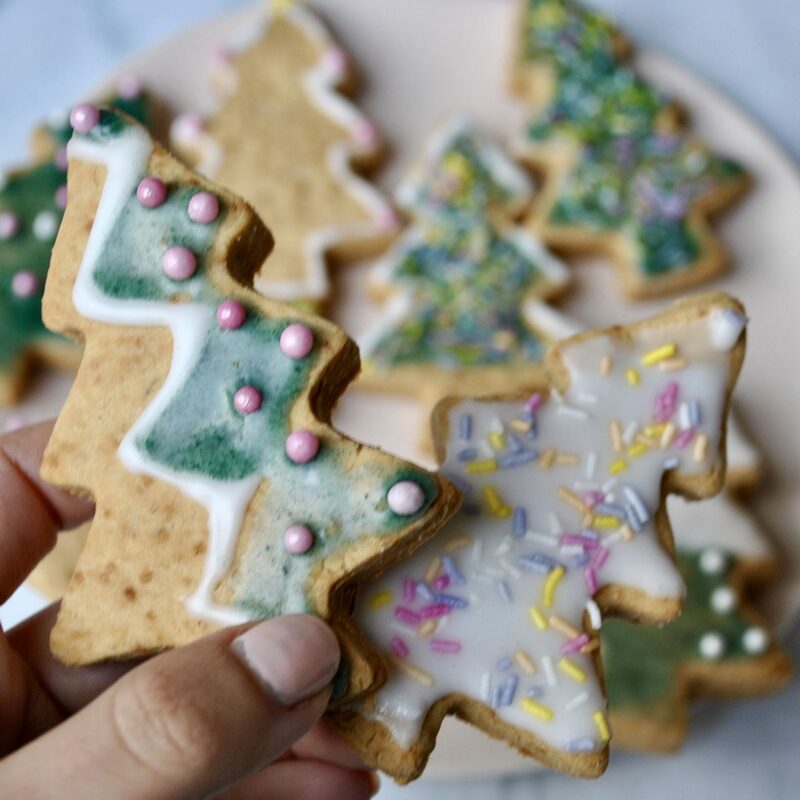 They are a wonderful treat to serve all year round, whether you use Christmas-tree shaped cookie cutters or not! 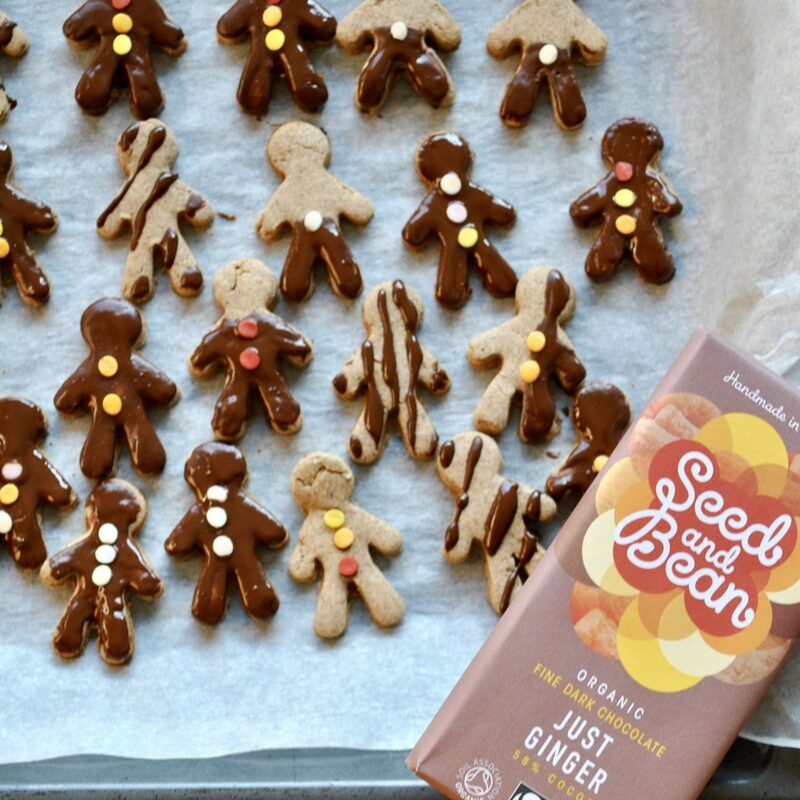 These have become one of my favourite recipes to snack on lately, alongside my Chocolate Peanut Butter Jelly Cups and Super Seed Energy Bars. Preheat oven to 200 C. Line a large baking tray with greaseproof paper. 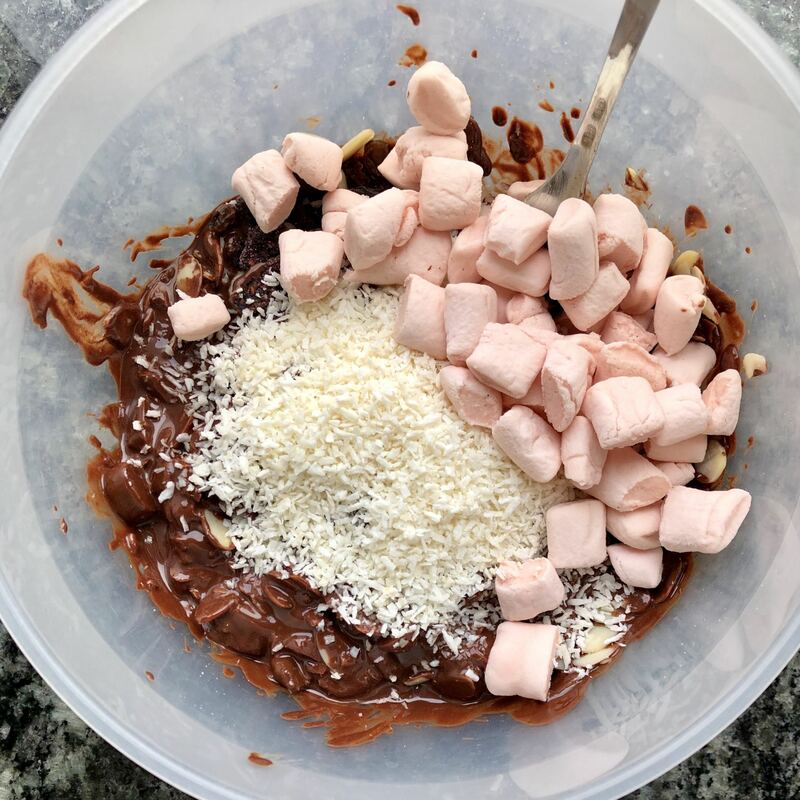 In a large mixing bowl, mix together dry ingredients: sugar, flour, baking powder, baking soda and salt. Add cold butter and use your hands to combine everything together until a sandy consistency is formed. Then pour in the milk, maple syrup and vanilla and stir until combined. Transfer the mixture onto a lightly floured surface or piece of parchment paper and knead gently for no more than 30 seconds. 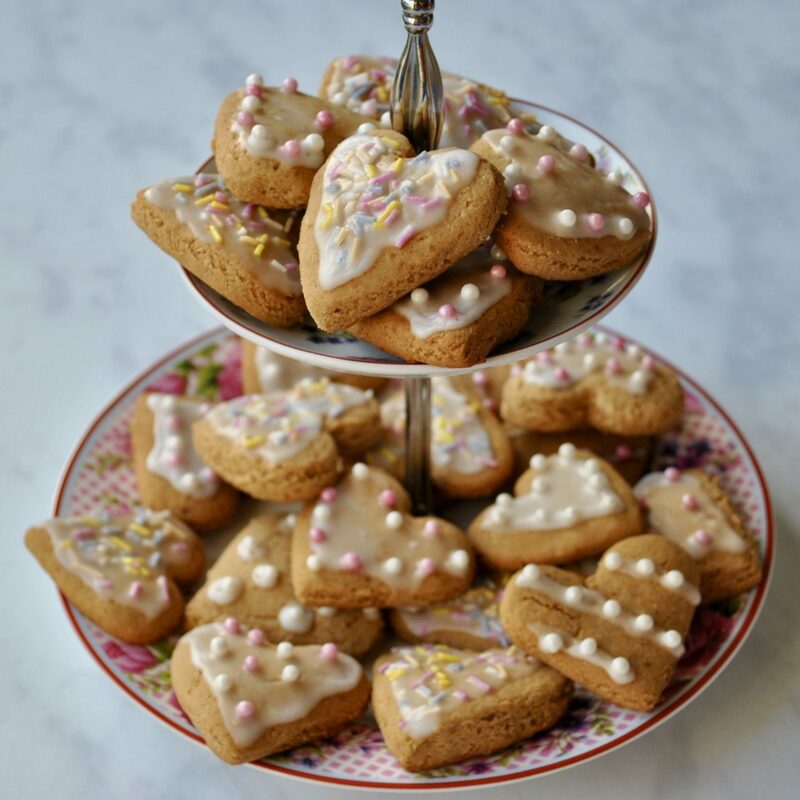 Use your hands to flatten the dough to about 1cm thick, then use cookie cutters to cut out the biscuits. Carefully transfer to the lined baking tray. Bake in the oven for 10-13 minutes until starting to turn golden brown. Allow to cool for 15 minutes then enjoy, or store in an biscuits airtight container for up to one week. 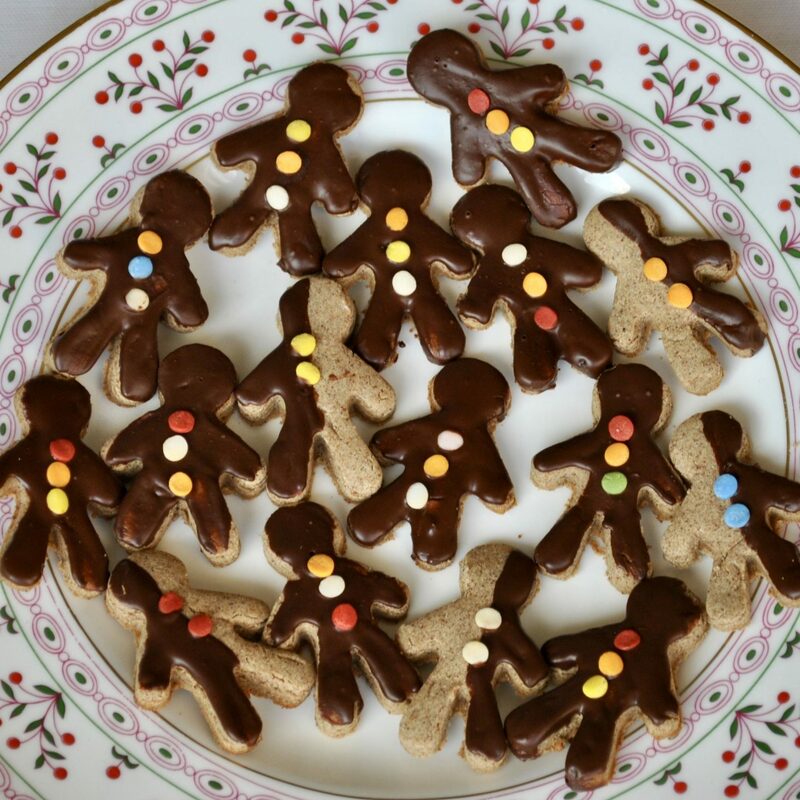 What could be better than festive spiced Gingerbread Men? 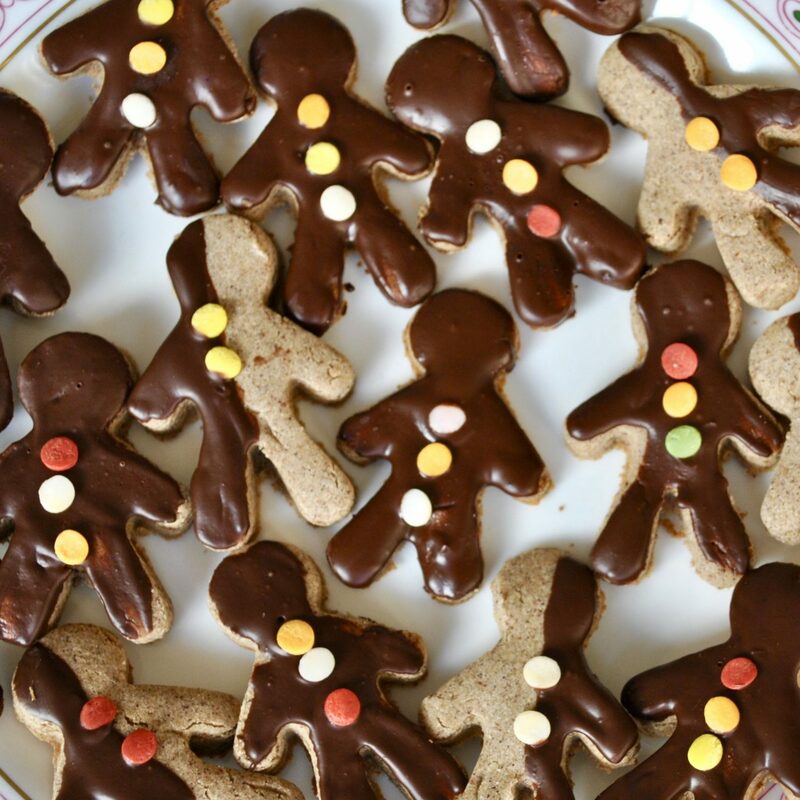 That’s right, Gingerbread Men dipped in chocolate! 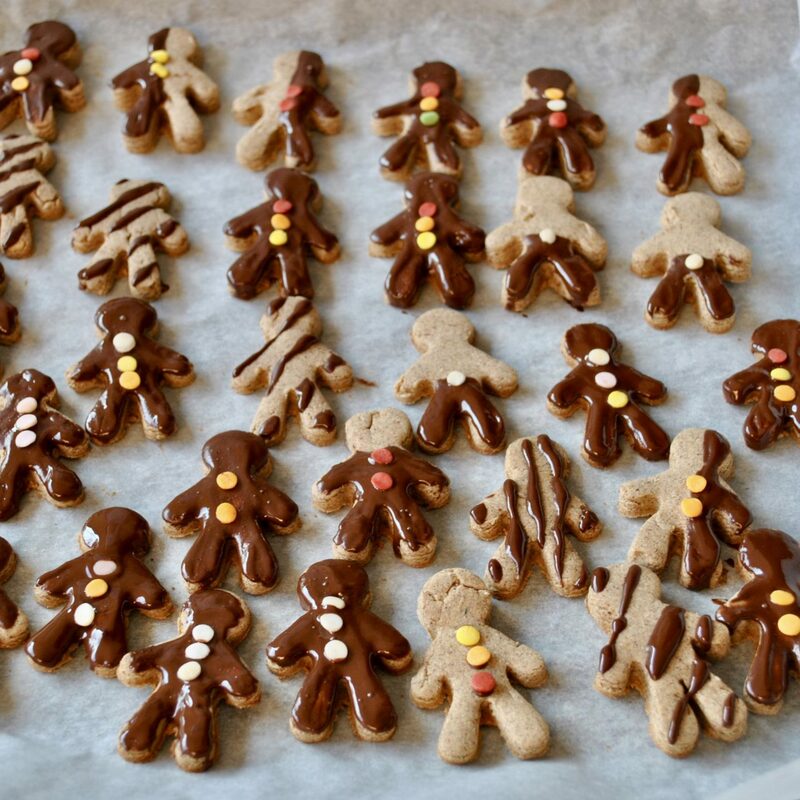 With winter in full swing, these Chocolate Gingerbread Men combine all the nostalgic flavours of this time of year, from cinnamon to ginger, with a rich chocolate coating. I actually used ginger-flavoured dark chocolate to spice things up a notch, but any chocolate will do the trick! 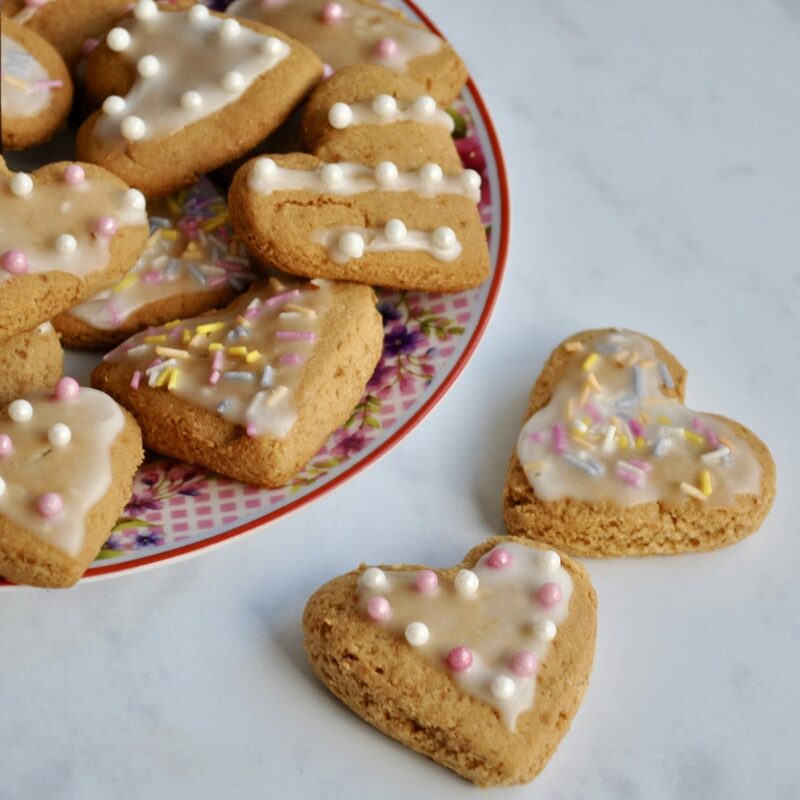 The gingerbread biscuits are crunchy yet slightly tender on the inside, with undertones of honey and almond butter. 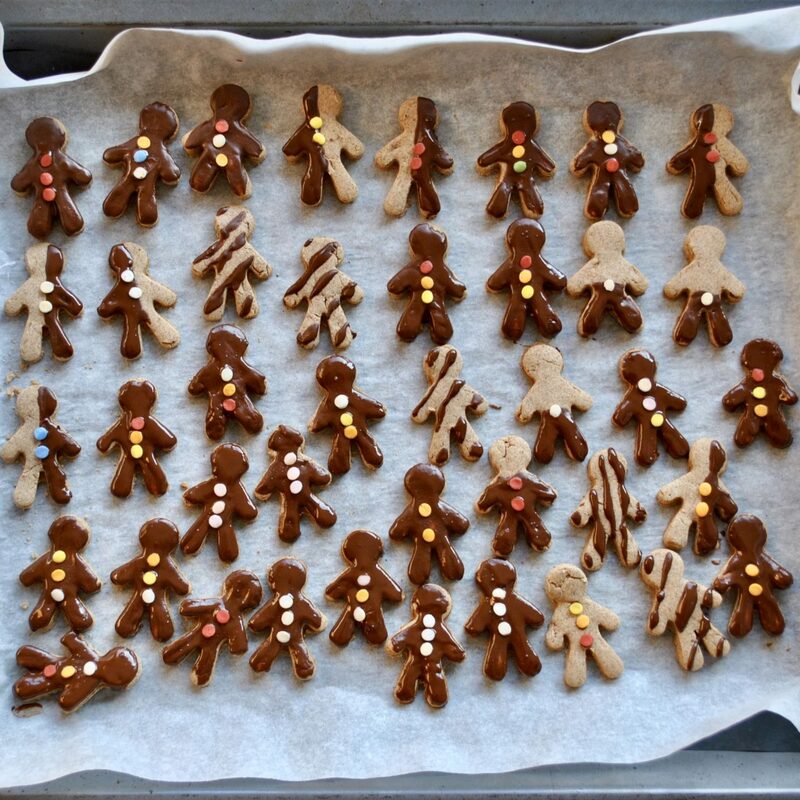 The best part is that these chocolate-coated gingerbread men are so much fun to make and decorate, both for children and adults. 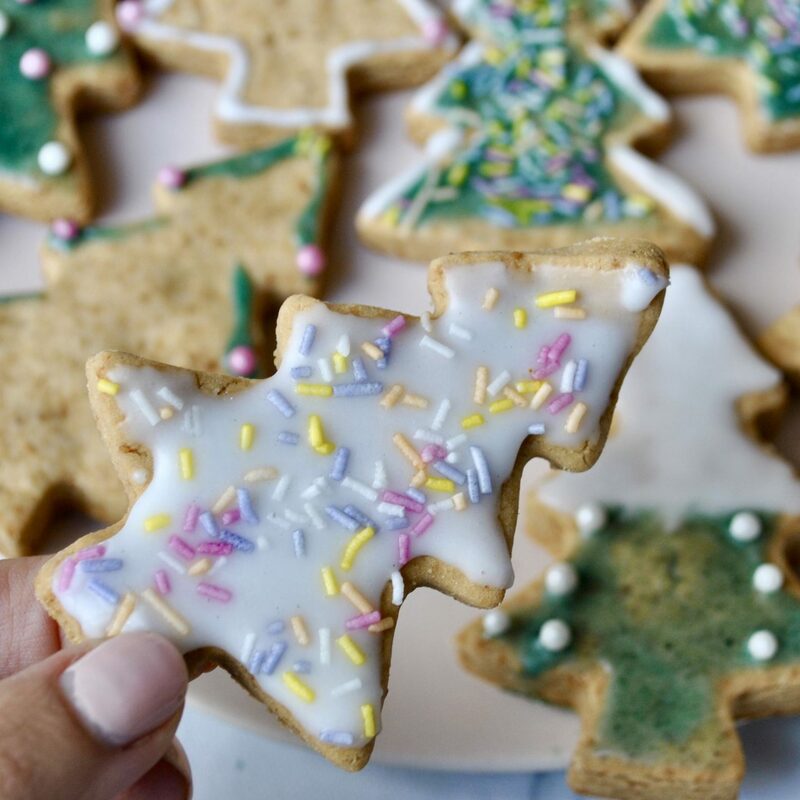 Feel free to use a a variety of different shaped cookie cutters to make these treats even more exciting, and get creative with the toppings too! 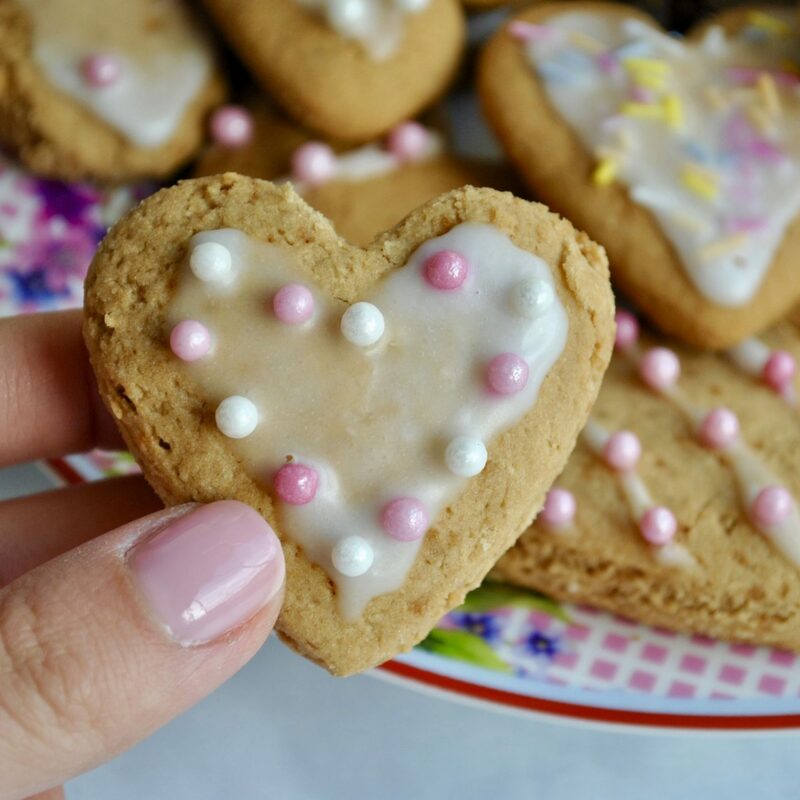 Don’t worry if you don’t have cookie cutters – just roll these into balls and then flatten slightly into cookie shapes with your hands. These make the most adorable Christmas/Chanukah gifts, either on their own or alongside a batch of my homemade Coconut Almond Granola or Nutty Cinnamon Granola! This recipe was developed in collaboration with Meridian Foods. In a large mixing bowl, use a fork to vigorously beat together the softened butter, egg (or flax egg), honey, vanilla and almond butter. Then add the sugar, salt, spices and baking soda and continue to beat together very well until fully combined. Alternatively, use a cake mixer on low. Add gluten free flour to the wet ingredients and use your hands (yes your hands!) to work the dough together until completely combined and form it into a ball. You can add 2 tbsp milk of choice if necessary to help it bind. Wrap the ball of dough in cling film and place in the freezer for one hour. Line two baking trays with greaseproof paper and pre-heat the oven to 175 C. Cut the ball into two halves for ease of rolling. Use a rolling pin to roll out the first ball dough to about 4-5mm thick between two sheets of greaseproof paper or cling film. 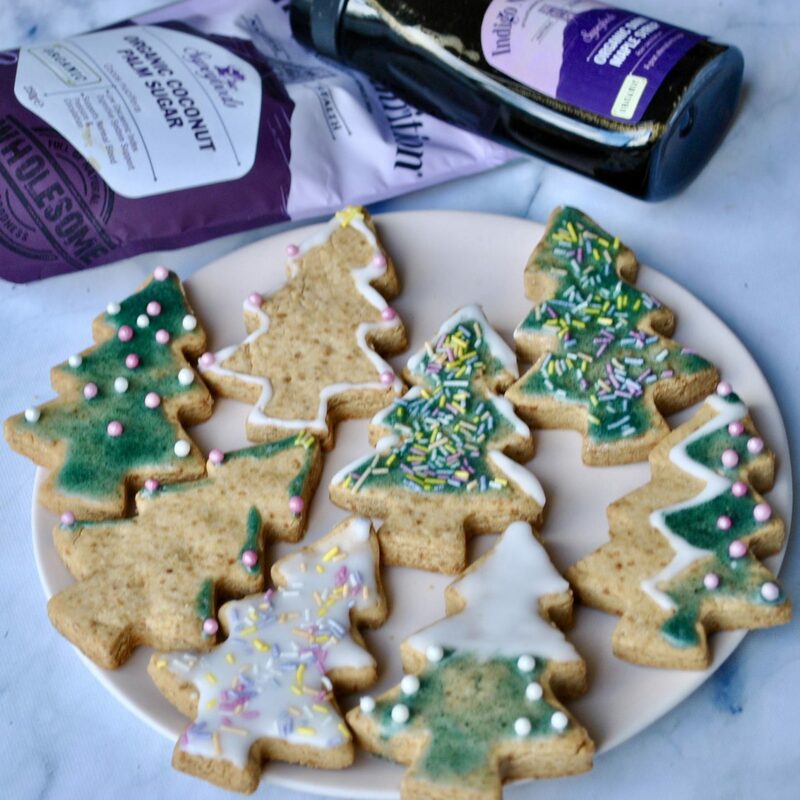 Remove the top sheet and use gingerbread cookie cutters (or any shape!) to cut out shapes. Place the cookies on the lined baking tray and repeat wit the second ball of dough. Bake for 8-10 minutes, then leave to cool. 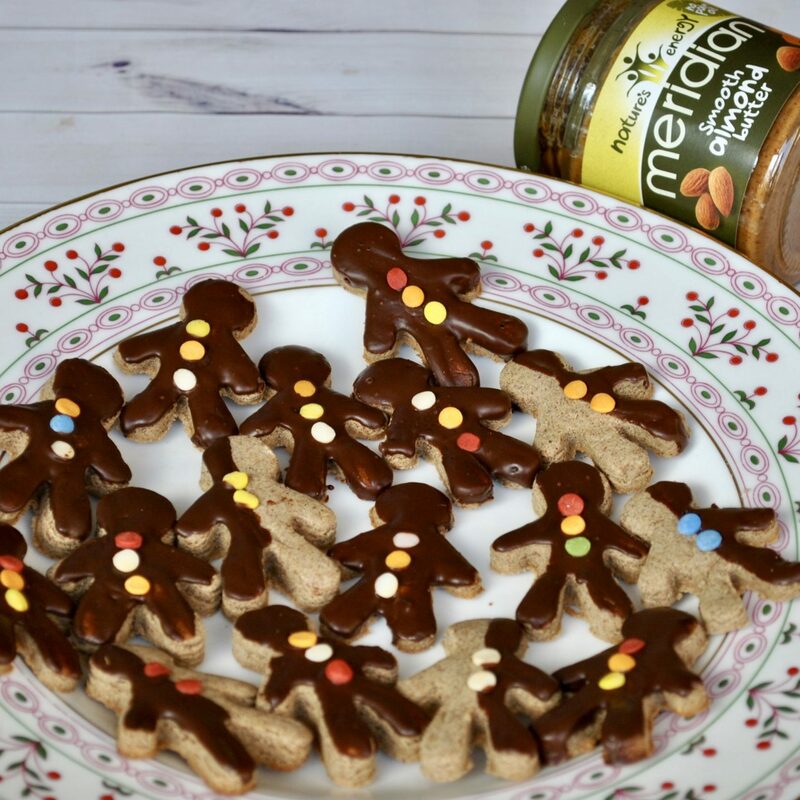 Once cooled, melt the dark chocolate and dunk the cookies in as much as you want – perhaps just the legs, the top side of the body or even the whole thing! When the chocolate has set, decorate with icing / sprinkles / toppings of choice. Store covered at room temperature for up to 5 days. Freeze for longer term storage. The batch should make about 30 cookies, depending on the size of your cookie cutter / or if you decide not to cut them and roll them into balls. 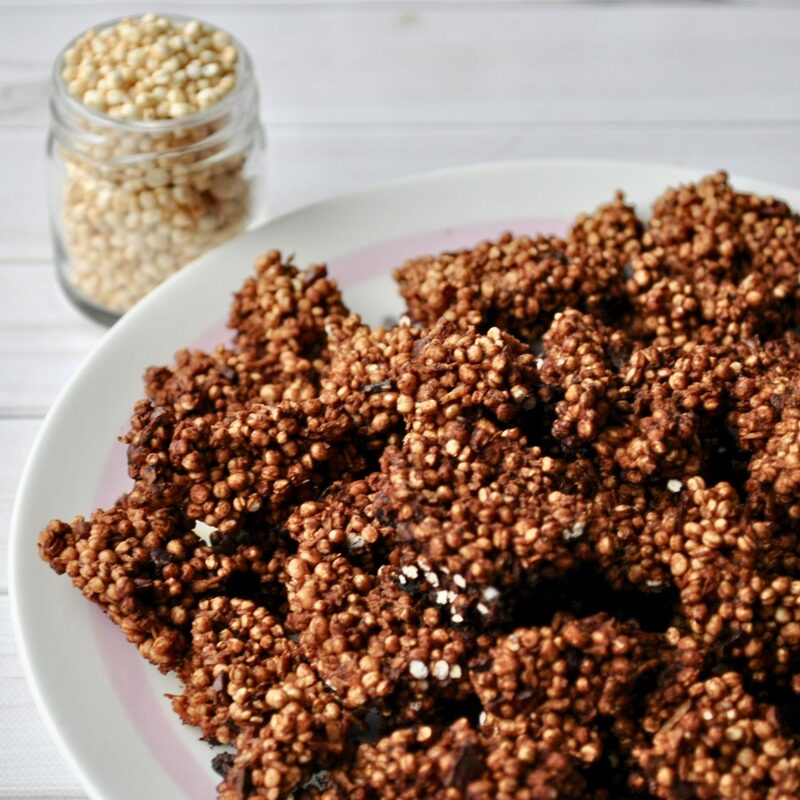 These Cacao, Coconut & Quinoa Clusters are the perfect solution to your afternoon cravings and are guaranteed to settle that sweet tooth, whether as a snack or dessert after a meal. 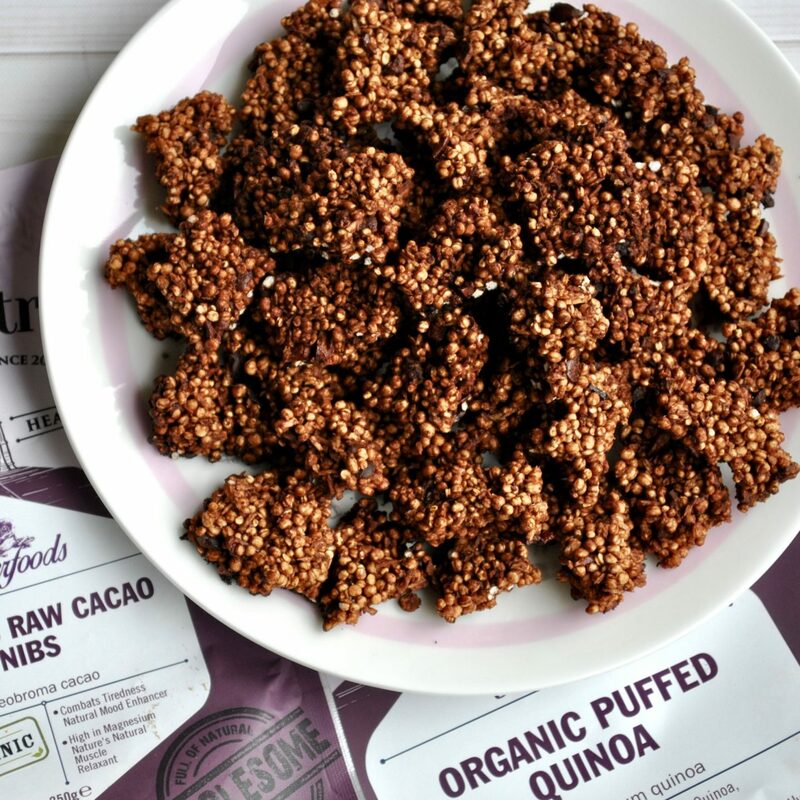 As well as the addictively crunchy texture and the sweet yet sophisticated flavour, these chocolatey clusters are crammed full of goodness, from antioxidant-rich cacao to high levels of protein and fibre thanks to the quinoa, so they’ll keep you feeling satisfied. 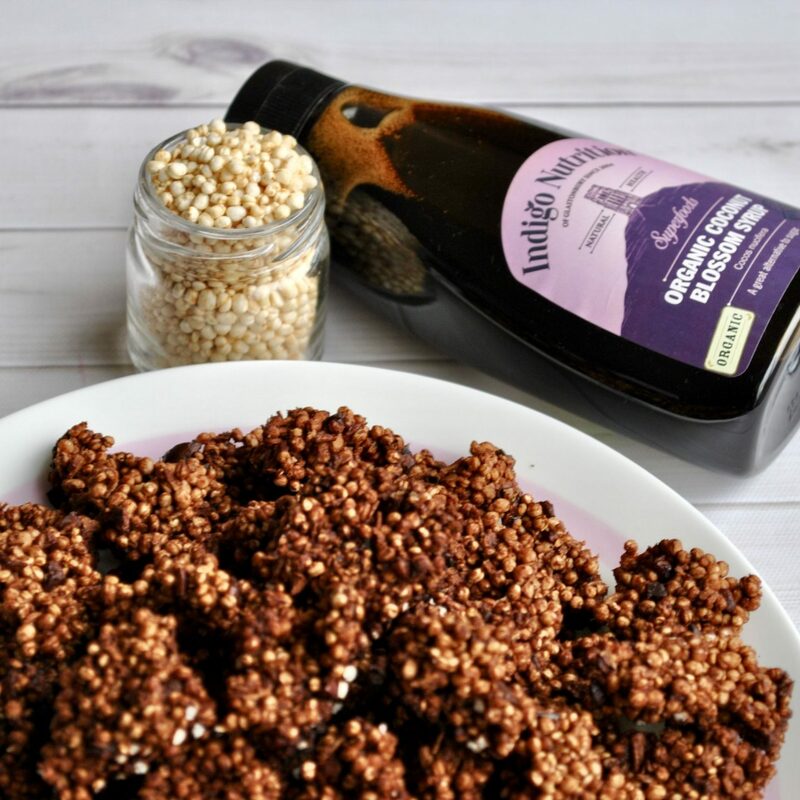 What I love most about these Cacao, Coconut & Quinoa Clusters, is that they contain only 5 ingredients and can be ready in less than 10 minutes! 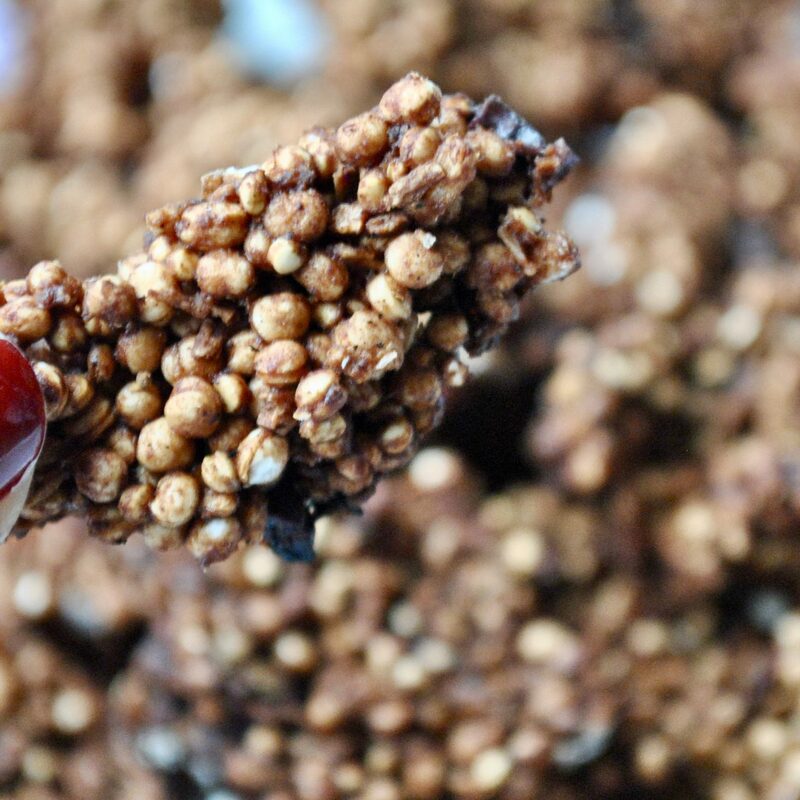 For more healthy snack ideas, check out my Chocolate Protein Bombs, Quinoa, Almond and Pumpkin Seed Brittle, No-Bake Granola Bars, Macadamia Energy Balls or Super Seed Energy Bars! Preheat the oven to 160 C. In a large bowl, combine all ingredients and mix well until fully combined. 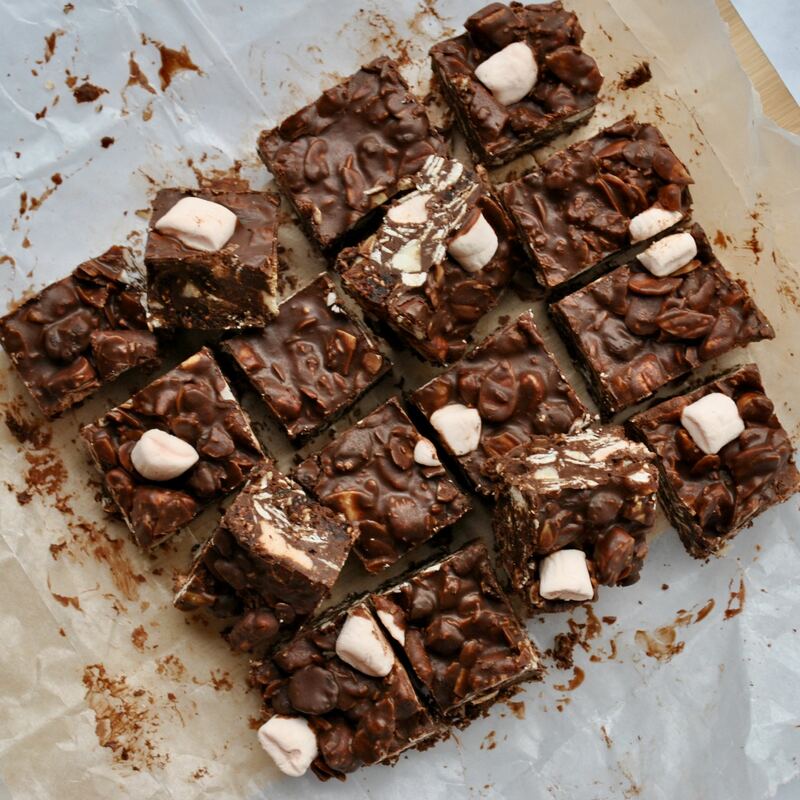 Spread the sticky mixture over a lined baking tray, pack together well with the back of a spoon and bake for 8 minutes. Allow to cool and break into clusters. Store in an airtight container for up to one week.